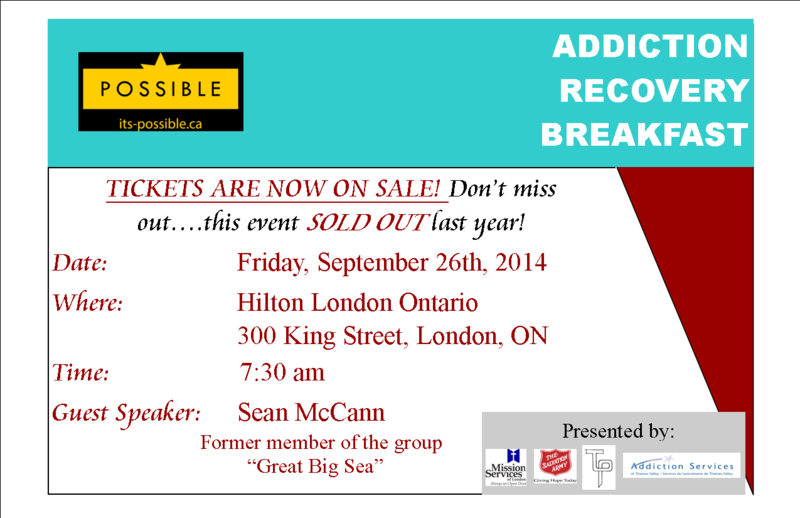 September is Recovery Awareness Month – Join Us for the Addiction Recovery Breakfast, Sept 26, 2014 – Tickets are Selling Fast! Seats are only $45 each or a table of 10 for $400! Click on the link below to get your seats today!